A face and neck lift, or rhytidectomy, can help our patients reverse key signs of facial aging caused by a loss of skin elasticity, diminished facial volume, and exposure to natural elements. Our experienced, board-certified facial plastic surgeons – J. David Kriet, MD, FACS and Clinton D. Humphrey, MD, FACS – are highly skilled performing full face and neck lift procedures and are known for creating beautiful results that look natural. 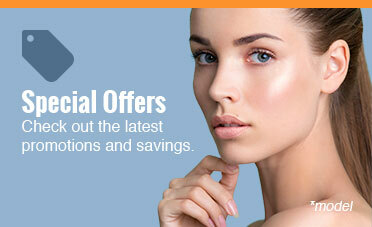 A face and neck lift is one of the most popular cosmetic surgery options we offer. After a thorough consultation in which your cosmetic concerns are discussed, our surgeons can smooth and elevate problem areas to reveal a more youthful and rejuvenated appearance. What is a Face and Neck Lift? A face and neck lift is a procedure designed to correct age-related changes in the face and the neck— two regions that typically exhibit telltale signs of aging most visibly. As the skin begins to lose elasticity and sag, the face usually develops wrinkles, creases, and jowls, while horizontal bands of skin can form around the neck. Additionally, loose submental tissue under the chin often creates the appearance of a “double-chin” or poorly defined neck profile. To combat these changes, a face and neck lift can be a powerful treatment to tighten lax skin, address loose musculature, and reposition fatty deposits on the face and neck for a smoother, firmer, and more youthful aesthetic. The results achieved can look natural and elegant, diminishing key indicators of age while preserving the character of your face. What Can a Face and Neck Lift Address? Each face and neck lift performed by Dr. Kriet and Dr. Humphrey is tailored to meet the unique needs and cosmetic goals of the patient. During your consultation, one of our facial plastic surgeons will carefully assess every aspect of your face and neck, including skin texture, bone structure, and muscle tone to determine if you are indeed a good candidate for the procedure. Your doctor will also listen to your concerns and discuss your vision for the final outcome. Integrating all of the information gathered during the examination and conversation, your surgeon can develop a customized surgical plan designed to deliver results that appear balanced and natural. In some cases, a mid-face lift may be enough to achieve the desired aesthetic rather than a full face and neck lift. How is the Face and Neck Lift Procedure Performed? Face and neck lift surgery usually takes between three to five hours to complete and is performed as an outpatient procedure. You will be under general anesthesia during surgery, so you will not feel or remember a thing. The technique our surgeons use involves incisions that can be hidden along natural skin creases, behind the ears, under the chin, or within the hairline. Through these incisions, your surgeon can tighten the underlying neck musculature, sculpt and remove fat, and remove excess skin. The incisions are closed with fine sutures or surgical clips. What is Recovery Like After a Face and Neck Lift? After the procedure, an elastic dressing is applied to the face and worn overnight. This dressing is removed the following morning and replaced with a lighter dressing. Most patients experience some swelling and bruising during the recovery phase, though discomfort is usually mild and can be controlled with medication. After a face and neck lift, our patients typically return to work in two weeks. Following the detailed pre- and post-operative instructions provided by our surgeons can accelerate the healing process. As a result of the meticulous surgical technique employed by Drs. Kriet and Humphrey, scarring from the incisions is often undetectable to others. In fact, many hairdressers have complimented our patients on their discreet incision placement. A face and neck lift can dramatically reverse the appearance of aging, fatigue, and sun damage, providing a more youthful, refreshed, and energized look. Our face and neck lift patients are pleased with the natural-looking results they have been able to achieve with the help of Dr. Kriet and Dr. Humphrey. Often, patients appear years younger after recovery and enjoy a significant boost in confidence. Will I Have Scars After Face and Neck Lift Surgery? Dr. Kriet and Dr. Humphrey perform face and neck lift surgery to achieve beautiful results that appear noticeable, yet remarkably natural. In doing so, they take measures to place incisions in discreet locations within the hairline, behind the ears, under the chin, or along the existing contours of the skin. As a result, visible scarring after a face and neck lift is minimal and typically inconspicuous to outside observers. Following your surgeon’s post-operative instructions about proper wound care can generally lead to optimal healing of the incisions, allowing any surgical scars to fade to some degree over time. Can I Get a Facelift Without Surgery? While a facelift is considered the most effective means of rejuvenation for skin laxity and facial sagging, alternative treatment options can be utilized to minimize signs of age without surgery or significant downtime. Our Kansas City practice offers a broad range of minimally invasive cosmetic enhancement procedures like JUVÉDERM® XC and BOTOX® Cosmetic to restore youthful facial volume in sunken areas or smooth pronounced expression lines, respectively. Our collection of dermal fillers and injectables are specially formulated to target and rejuvenate a given area of concern, such as the lips, cheeks, nasolabial folds, or jowls. To address aging in the neck, Drs. Kriet and Humphrey also offer KYBELLA® as a non-surgical method of fat reduction for patients bothered by excessive fullness under the chin or the loss of a well-defined neck contour. Although the outcome of these treatments cannot surpass, nor outlast, the quality of results yielded by face and neck lift surgery, our non-surgical anti-aging procedures can be an exceptional way to refresh and rejuvenate the face without the time and expense required by more invasive treatments. Our facial plastic surgeons can develop a personalized treatment plan according to your unique needs once your cosmetic goals are discussed in a consultation. The unique aspects of your personalized procedure—including the amount of enhancement planned—can also influence the total cost of the surgery. As a long-lasting enhancement option designed to comprehensively reverse signs of facial aging without the need for retreatment, a face and neck lift can be considered a long-term investment into your aesthetic appearance. While ascertaining the price of such a subjective procedure can be complex, rest assured that the final cost estimate will be fully explained by a member of our team prior to the start of any treatment. To accommodate the respective needs of our patients, we accept a number of payment methods and work with CareCredit®—one of the premier financing companies for elective healthcare in the country. Please don’t hesitate to contact a friendly member of our team for any additional questions or concerns you may have. What are the Limitations of a Facelift? A face and neck lift is designed to refresh the lower two-thirds of the face and the contour of the neck, with the area of treatment typically excluding the region around the eyes and brow. Signs of aging in the upper facial planes usually appear most prominently around the eyelids, requiring different techniques and incisions to treat. Of the aesthetic concerns that develop in the upper face, most patients experience puffy or baggy eyelids, excess skin at the corners of the eyes, wrinkles, horizontal creases on the forehead, and drooping eyebrows. Although a facelift is not intended to address these aging indicators, complementing your treatment with a brow lift and/or eyelid surgery (blepharoplasty) can provide full rejuvenation of the entire face. If skin laxity is causing lines to develop across the forehead, or the eyebrows have descended from their natural positioning, a surgical brow lift can smooth and tighten loose skin to produce a more youthful appearance. This procedure generally pairs well with blepharoplasty, which can restore an energetic and rested look for patients who exhibit drooping of the upper eyelids or under-eye bags. 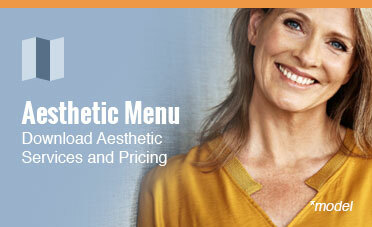 Dr. Kriet or Dr. Humphrey can advise you on the best treatment plan for your aesthetic goals. Select a board-certified facial plastic surgeon.When your facelift surgeon is board-certified by the American Board of Facial Plastic and Reconstructive Surgery. This credential indicates that a facial plastic surgeon has undergone extensive training and passed the requisite exams in all aspects of otolaryngology, or head and neck surgery and has dedicated their practice to the region of the face and neck. As not all plastic surgeons are required to be board-certified to practice, this distinguishment can give you the confidence of knowing your facelift surgeon has focused and accredited expertise in refining the structures and framework of the face. Ensure before-and-after photos align with your expectations. The previous outcomes attained by a facial plastic surgeon are not only an indication of your potential results, but they can also be a determinant in your ability to entrust a prospective surgeon with your care. Explore a surgeon’s patient gallery to assess whether their work is consistent with what you hope to achieve. Gain an understanding of a surgeon’s reputation. You can glean an idea of the treatment experience offered by a prospective surgeon by reading online patient reviews and testimonials of their care. These assessments can give you a comprehensive idea of what to expect once you arrive at a practice, as well as provide insight into previous patients’ overall satisfaction levels. Choose someone you can trust with your care. Research a surgeon’s credentials, educational background, and professional memberships to get a sense of their expertise. You will have an opportunity to ask them additional questions about their training during a consultation, where you will also be able to determine how comfortable you feel with his or her bedside manner and professional acumen. If you are considering face and neck lift surgery, we encourage you to contact our office to schedule a consultation with Dr. J. David Kriet or Dr. Clinton D. Humphrey.